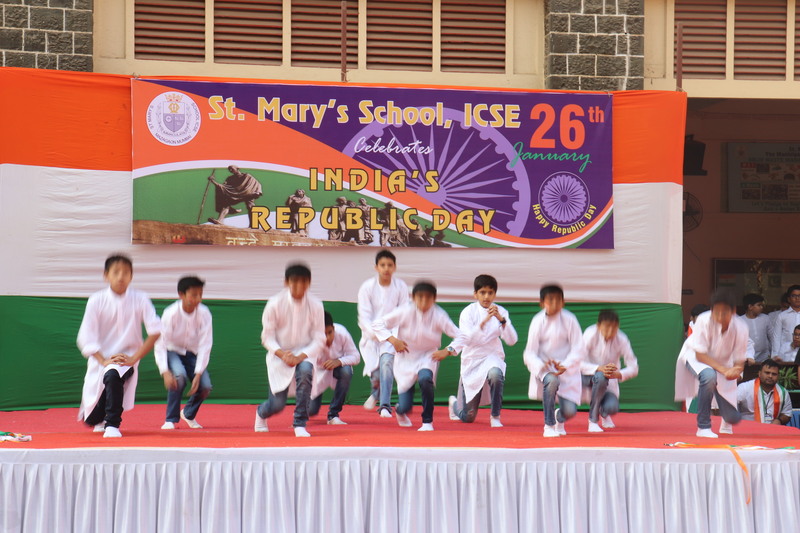 St. Mary’s School observed the 70th Republic Day on the 26th January, 2019. 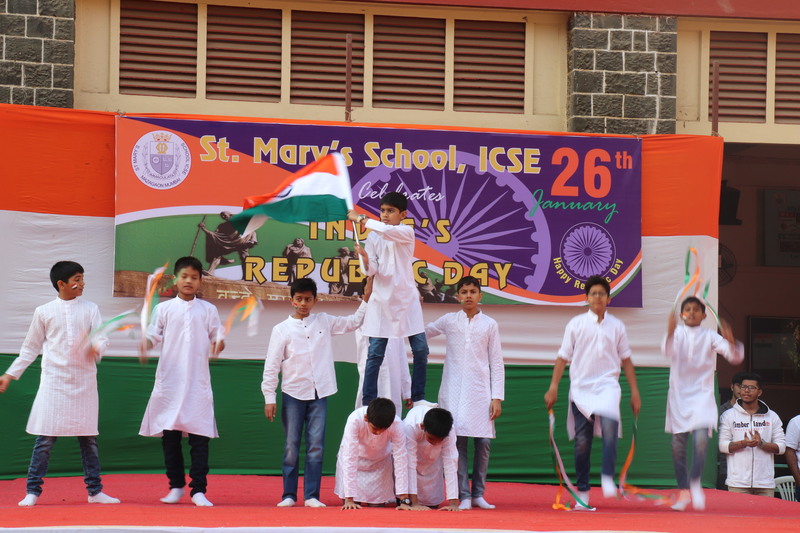 A flag hoisting ceremony and a short programme had been organized to mark the significance of the day. The teachers involved with the organization of the programme were Ms. Nandini Basu, Mr. Ravi, Ms. Zeenat Surkha, Ms. Swapna Nayak, Mr. C.B. Tiwari and Ms. Nicola Pereira. The P. T. masters,Mr. 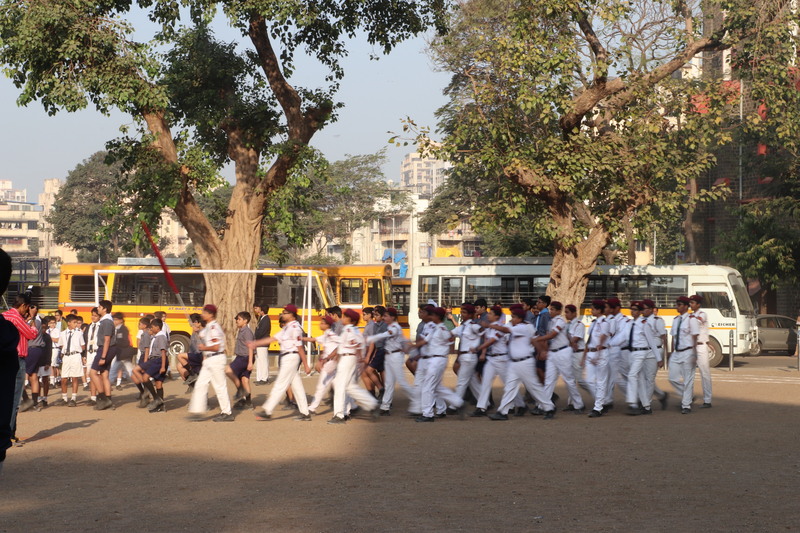 Balmukund Tiwari and Mr. Stevence Pereira trained the boys for marching and the flag hoisting ceremony. Our Senior Supervisor, Ms. Clementine Monteiro presided over the celebrations. Kavish Soningra was the MC of the programme. The programme began at 8.30 A.M. The boys from classes 4 to 9 assembled in the big grounds of the school where a stage had been erected for the celebrations. 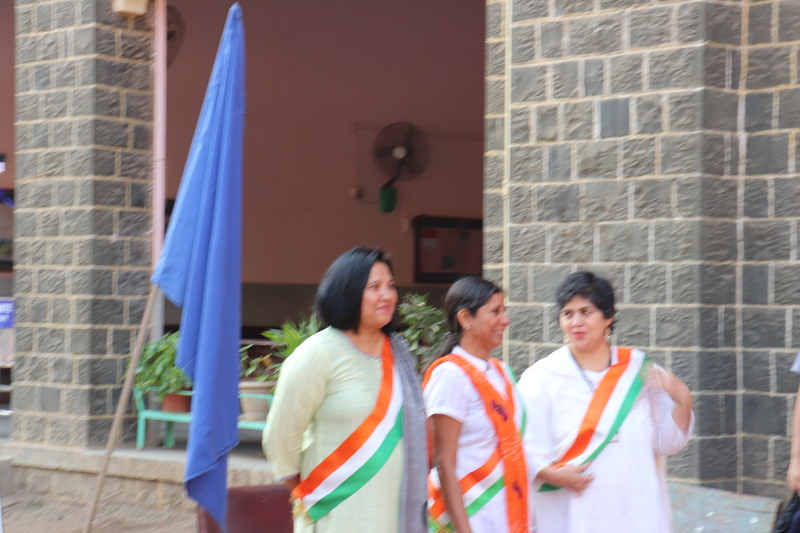 Ms. Clementine Monteiro, Ms. Nirmala Fernandes and Ms. Sandra Fernandes were escorted to the terrace where Ms.Monteiro unfurled the National Flag to the sound of our national anthem played by the R.S.P boys. 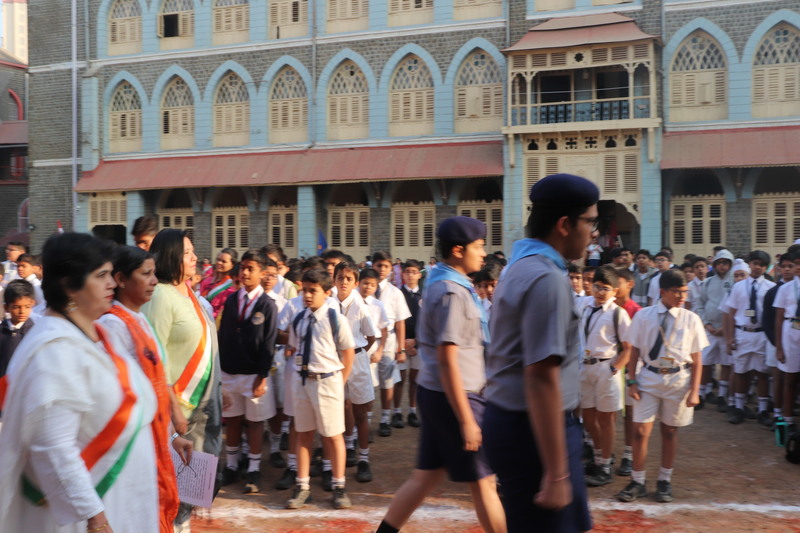 Then the entire school took the National pledge led by Ms. Monteiro. Later, Ms. Monteiro took the salute while the school squad, the Scouts squad and the R. S.P squad marched smartly. A short cultural programme followed. 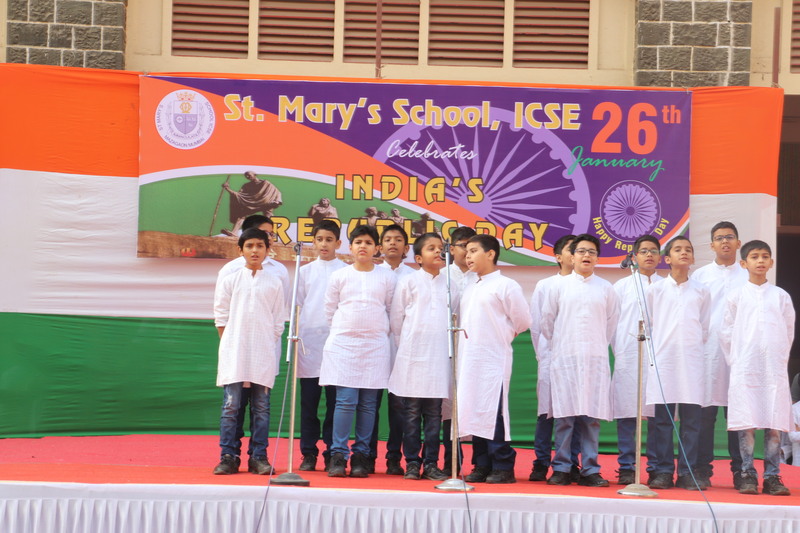 First there was a Hindi speech delivered by Parsh Bafna of class 7. 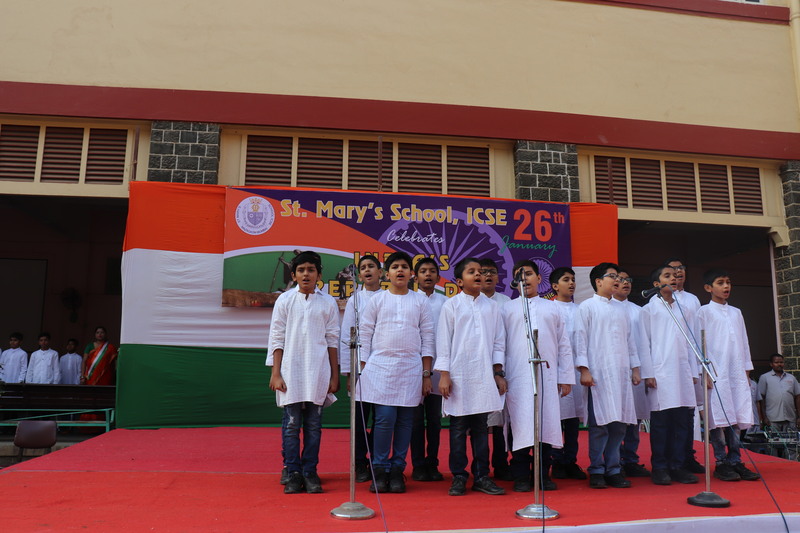 This was followed by a patriotic Hindi song sung by the students of classes 5 and 6.The boys rendered the song with great patriotic fervor. 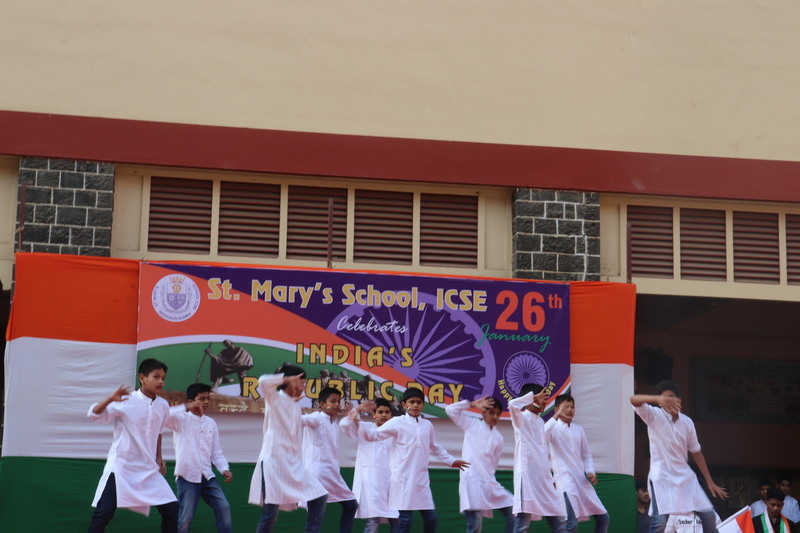 They had been trained by Ms. Kalpana D’Costa.Then the students of class 6 performed an energetic dance which brought out feelings of patriotism. They had been trained by the teachers of the Brian Academy. Then Ms. Monteiro was invited on stage to deliver her address.She began her speech by quoting a beautiful Hindi patriotic poem. She spoke on the value and significance of freedom. 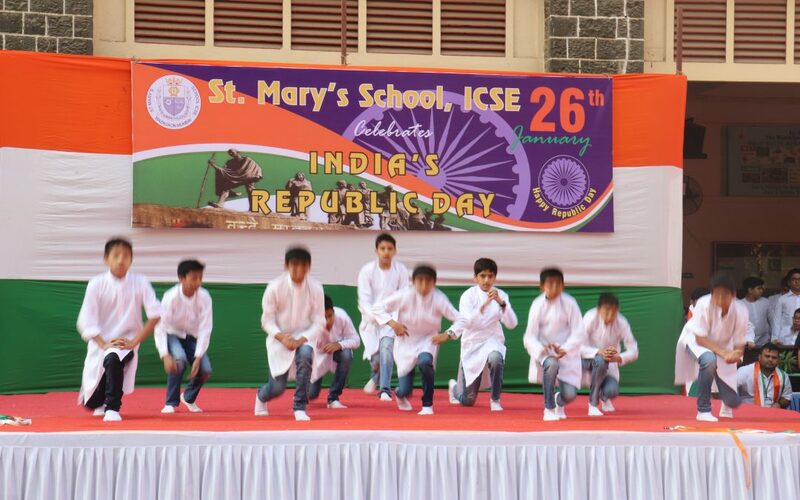 The function ended with the students singing our National song ’Vande Mataram’ by all the students and teachers. Finally, Ms. Monteiro thanked all the teachers and staff involved with the organization of the Republic Day programme.